Tai Solarin University of Education,Ijagun. PUNCH Metro reports that the cult members, who were armed with cutlasses and guns, at about 12pm invaded Abapawa an area off the campus and chased students, during which the victim, Ganiyu Oloyede, was hacked to death. Oloyede was said to be a 400-level student of Social Studies in TASUED. 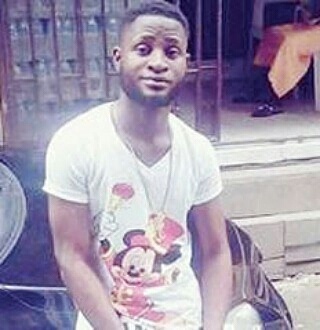 It was learnt that Oloyede was hacked to death by the cult members because his girlfriend, whose name could not yet be ascertained, was beaten up by one of the cult members, and the victim had reportedly challenged the assault. It was said that the cult members later mobilised to the hostel where Oloyede, who was preparing for his teaching practice stayed and killed him. Punch adds that there was tension in Abapapawa, as students shut themselves in, while the cult attack persisted. Policemen from the Obalende division later arrived at the scene to remove Oloyede’s corpse to a mortuary. A female student and eyewitness, who gave her name only as Bisola, said Oloyede, aka Agunrege, was killed as a result of the cult clash between Aye and Aloera confraternities. hostels. I saw the boys running around with cutlasses. They were later said to be Aye and Aloera cult members. one of the cult members. The cult member was said to be interested in the lady. went to invite his friends, who attacked Ganiyu.